If you've paid attention to the mobile blogs or any of the tech shows that have taken place so far this year, you have probably heard a lot about wearable technology. It's the latest trend in the industry, and it pertains to users wearing anything from wristwatches to glasses that can connect to the internet. The thought is that these gadgets will provide an endless stream of data and that users will be able to collect information simply by wearing everyday items without having to use their phones, tablets or other more traditional mobile devices. They can also be used for communication, and in the age of telecom solutions such as Voice over IP, they may give users a feeling that they're in the future. Imagine using your online connected watch to make a voice or video call. In the past, this sort of activity was reserved for futuristic science fiction stories, or at least James Bond films. 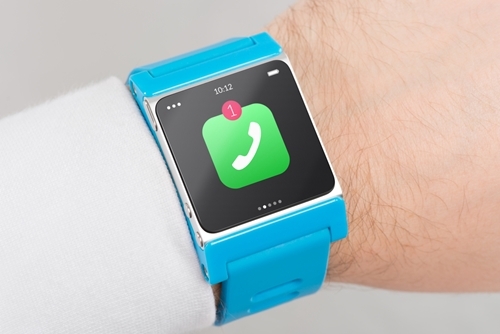 Today, with the help of Voice over IP providers, the advancement of wearable technology may make this a reality. That's not to say that will happen soon, although Google Glass and a few early editions of the smart watch are setting us on the right track. What is happening today is the ability to connect efficiently and effectively with co-workers and customers with Voice over IP. Those in the SMB sector can use their small business VoIP solution to stay connected. And although they may feel like they're onboard the USS Enterprise, they can do this while in the comfort of their office or on the go. Wearable technology is considered the next major innovation in mobility, so it will be interesting to keep an eye on that market going forward. In the meantime, obtaining the right VoIP solution and supporting network will help ensure you have the infrastructure in place to capitalize on new communication devices. This entry was posted in VoIP on March 6, 2014 by Telecom Solutions Inc,.